CMS Install team is at it again! This weeks project was at a College of Osteopathic Medicine in Virginia. 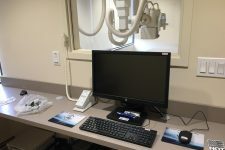 We provided this school with a brand new CoRE Labs H/F X-Ray with a Fuji DEVO wireless DR. 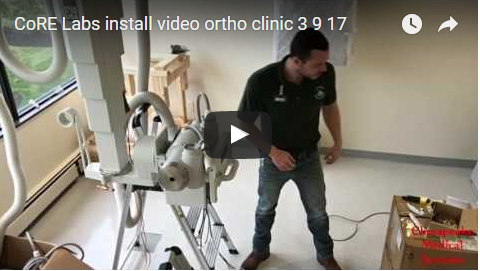 Check out our other installation videos by clicking here. Contact us today for a quote, 800-333-5643. Out with the old and in with the new! 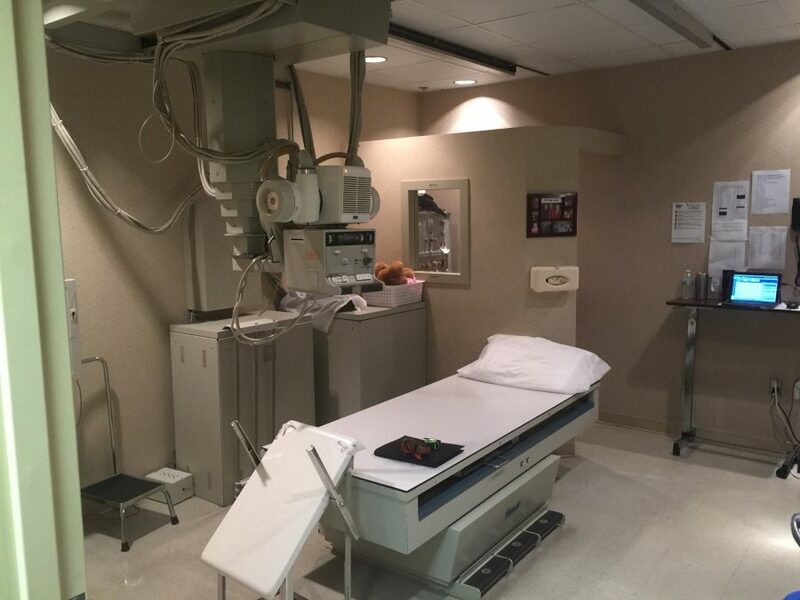 This orthopedic clinic in Montgomery County, MD was just upgraded with a new CoRE Labs H/F X-Ray system. 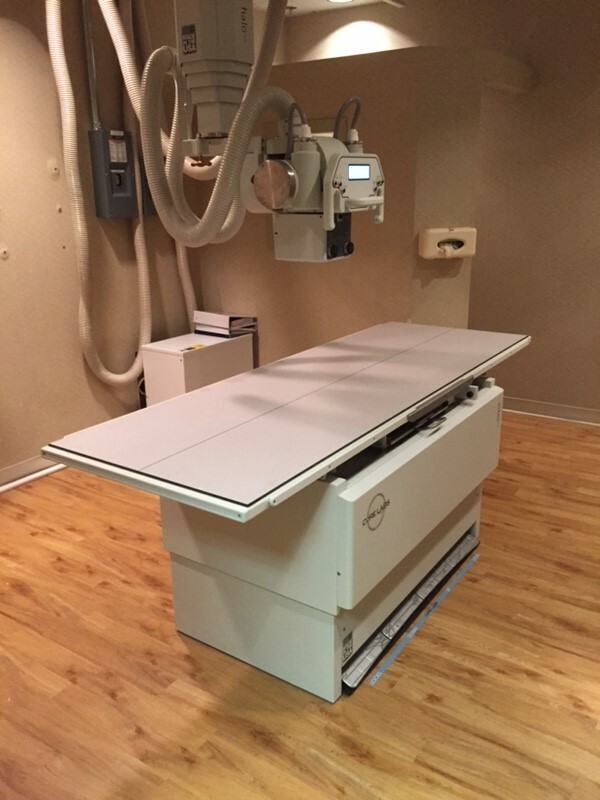 CMS removed the old GE system and installed a CoRE Labs overhead tubestand, Atlas 650 lb capacity E/V table, Flora wallstand, CPI CMP200 50kW H/F generator, Varian tube with collimare LED collimator. Old GE Rad system before deinstallation by CMS, Inc. CoRE Labs HALO Overhead Tubestand with Flora Wallstand. 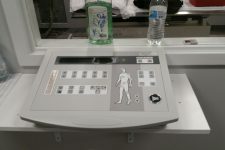 CPI CMP200 50kW High-Frequency X-Ray generator. Sales award from AGFA Healthcare! 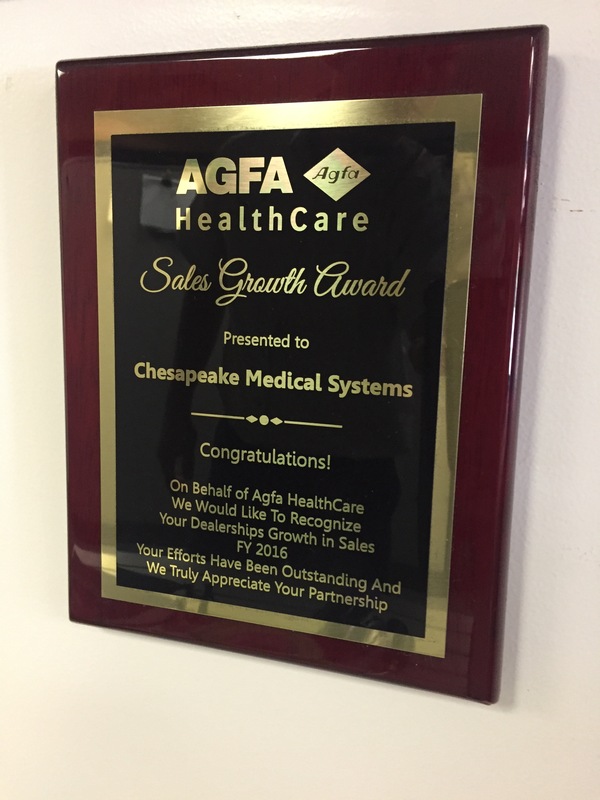 Chesapeake Medical Systems, Inc. was honored to receive a sales growth award from AGFA Healthcare. It has been installed on the “wall of fame” here at our main HQ. sales award from AGFA, 2016 sales growth. The CMS/AGFA team was busy busy last week performing DXD100+ portable demos. 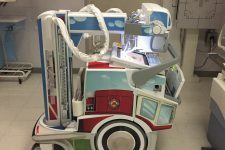 The entire rad team at the site was impressed with the workflow and the neat firetruck design! Contact the CMS sales team today to see how we can improve the workflow & patient care in your dept! 800-333-5643 or EMAIL US! 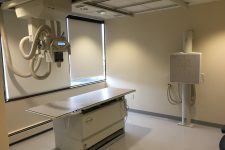 An imaging center in Montgomery County, MD just upgraded their X-Ray department with a new Spellman 50kW HFE High-Frequency generator and Varian Rad-14 X-Ray tube. 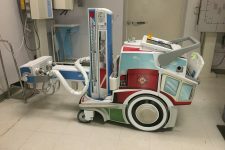 When the old Bennett system failed, CMS answered the call and had them the center back up and running ASAP to service the community. Is your system experiencing issues? Call us today for an upgrade. 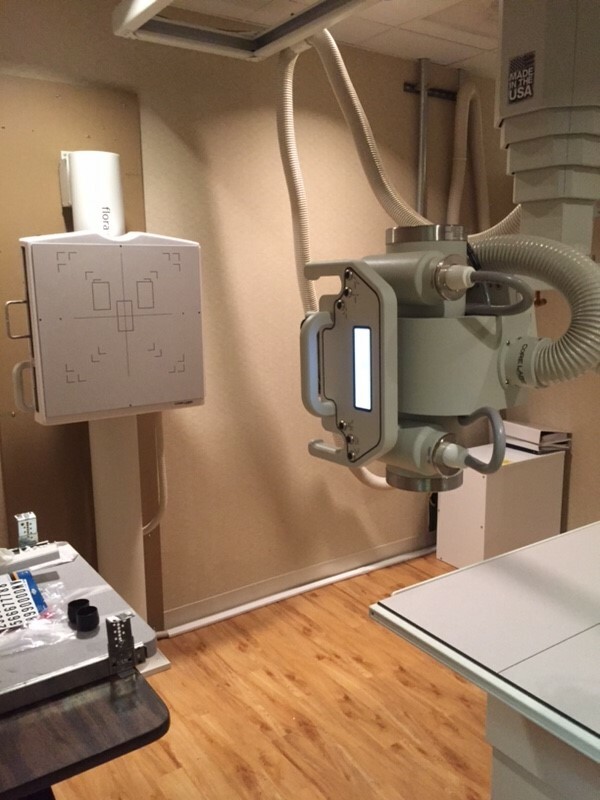 An orthopedic clinic in New Jersey just added their 5th X-Ray system to ensure prompt service to the community. 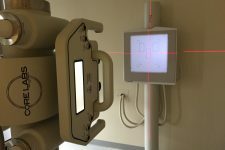 Chesapeake Medical Systems, Inc. install team installed a CoRE Labs with CPI RadVision dual DR package. CPI 65kW 800mA H/F generator, CoRE Labs Halo overhead tubestand, CoRE Flora Wallstand with dual top locks to eliminate excessive bending over for techs (techs LOVE this! 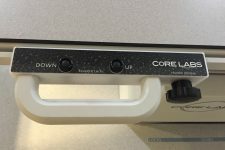 ), CoRE Atlas EV table with hand control, CPI RadVision with 17″X17″ fixed cesium detector in the wall and 14″X17″ cesium detector for table/portable work. These dual top locks are a tech favorite. 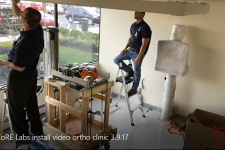 CoRE Labs Dual DR Radiographic install video. 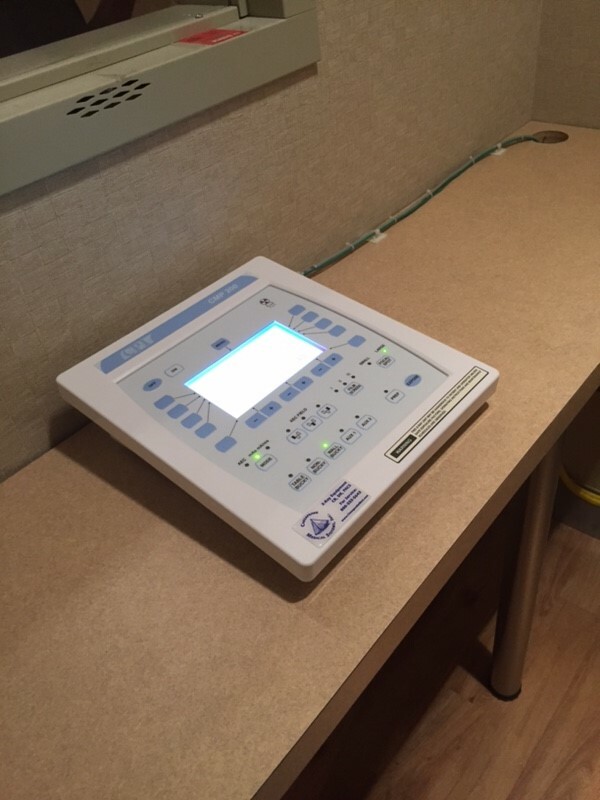 CMS Install team just wrapped up another installation at an orthopedic clinic in New Jersey. The team installed a CoRE Labs Halo OTS, Flora wallstand with fixed 17″X17″ Cesium CPI RadVision DR panel, Atlas E/V table with 14″X17″ wireless Cesium CPI RadVision DR panel, 65kW CPI H/F Generator with long-leg/scoli stitching package. 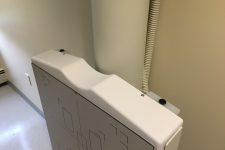 Chesapeake Medical Systems, Inc. installs an X-Mind Dental X-Ray with Sopix sensor. 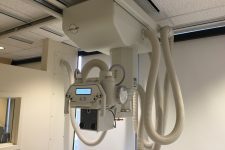 Chesapeake Medical Systems, Inc. installs a Del Medical 50kW High-Frequency radiographic system consisting of EV650 elevating table, Varian 300kHu X-Ray tube, CPI 50kW generator, VS200 wallstand and Fuji DEVO Wireless DR System.